Quotient Technology Adds Suite of Brand Safety Tools to Ahalogy’s Muse Influencer Marketing Platform - Quotient Technology Inc. The first-of-its-kind Influencer Match Score uses data to quantify how and why Ahalogy chooses influencers for its campaigns. MOUNTAIN VIEW, Calif.–September 25, 2018 –Quotient Technology (NYSE: QUOT) brand Ahalogy today announced the release of a suite of brand safety tools in Muse—an influencer marketing platform designed to connect consumer passion to purchase for leading brands and retailers. The first-of-its-kind Influencer Match Score is comprised of four key areas: a trend score, performance score, campaign fit score, and image quality score. The new tools, which are designed to aid influencer selection, are especially important as CPGs and retailers are cautious of trusting influencers with their brands because of concerns over accurate measurement, brand safety and the possibility that a given influencer endorses rival brands. Influencer Proximity Check – for shopper marketing campaigns to verify an influencer lives close enough to a retailer that posting about that retailer would make sense. Competitor Post Audit – to filter out influencers who have worked with a specific brand in a given time period. Influencer Match Score – a dynamic metric that measures how closely an influencer matches brand needs or requirements. Brands need to be certain that the influencers advocating on their behalf are high-quality, a good brand fit, and creating content that’s on-trend. The Influencer Match Score is comprised of four key areas: a trend score, performance score, campaign fit score, and image quality score. By applying natural language processing to an influencer’s social content, Ahalogy can determine which influencers best fit a brand’s message. To identify influencers with higher quality photography, Quotient’s Ahalogy brand is using machine learning powered by a neural network trained on a database of 255,000 human-rated images. Each image in the network is scored by a sample of people to learn what humans find aesthetically pleasing in an image. This is then applied to the influencer imagery found in Muse. Ahalogy has been out in front when it comes to combating traffic fraud with third-party verification; in June 2017, it launched its Tri-Verified™ solution and announced a partnership with Moat Analytics to ensure valid traffic on campaigns. In addition, Quotient and its Ahalogy brand became TAG Certified in August. 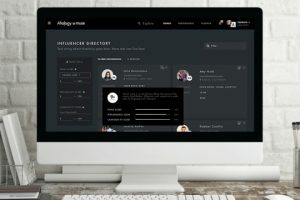 The new features will be used both internally by the Ahalogy team and by brands looking to uncover influencers who would be a good fit for an upcoming campaign. Muse is available at no extra cost to Ahalogy’s clients and partners. Want to learn more about Ahalogy Muse™ and its capabilities? Request access at www.ahalogy.com/muse. Quotient Technology Inc . (NYSE: QUOT) is the leading digital promotions, media and analytics company using proprietary data to deliver personalized digital coupons and ads to millions of shoppers daily. Our core platform, Quotient Retailer iQ™, connects to a retailer’s point-of-sale system and provides targeting and analytics for consumer packaged goods (CPG) brands and retailers. Our distribution network also includes our Coupons.com app and website, thousands of publishing partners and, in Europe, the Shopmium mobile app. We serve hundreds of CPGs, such as Clorox, Procter & Gamble, General Mills and Kellogg’s, and retailers like Albertsons Companies, CVS, Dollar General, Kroger and Walgreens. We operate Crisp Mobile, which creates mobile ads aimed at shoppers, and Ahalogy, a leading influencer marketing firm. Founded in 1998, Quotient is based in Mountain View, California, with offices across the U.S., in Bangalore, India; Paris and London. Learn more at Quotient.com, and follow us on Twitter @Quotient. Quotient, Quotient Retailer iQ, Shopmium and Ahalogy are trademarks or registered trademarks of Quotient Technology Inc. and its subsidiaries in the United States and other countries. Other marks are the property of their respective owners.